Are you BORED? Do you want to learn something new? Try your hand at calligraphy or baking? Maybe check out chakras? 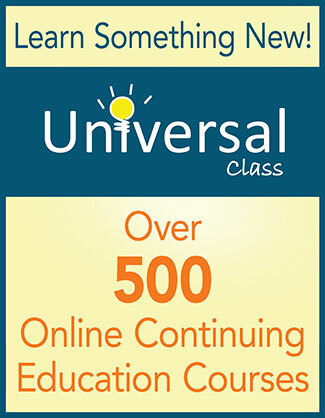 Universal Class offers over 500 different online courses for FREE with your Uxbridge Library Card. Over 800 online courses,tests and e-books! See what it's all about by clicking here and creating your own account!